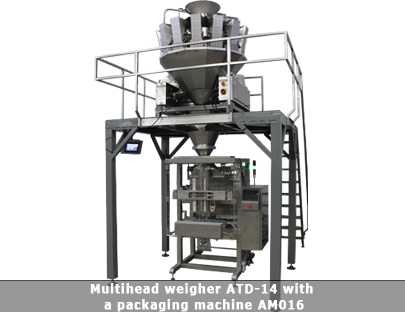 The multihead weighers are independent devices, which are normally mounted to the packaging machines and work together with them. 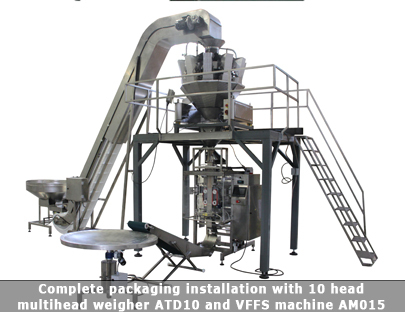 The main function of the dosing device is the separating of the product into predefined doses, which are set by the machine operator. The ready doses are then fed to the packaging machines. 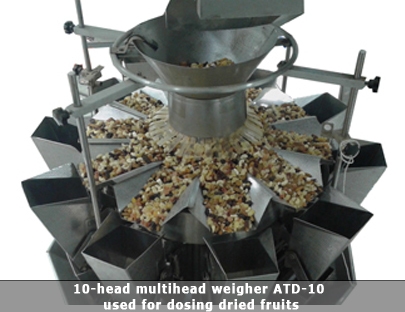 This type of dosing devices can be used for the dosing of any granular products and other products in solid state, including those with irregular geometric shape. 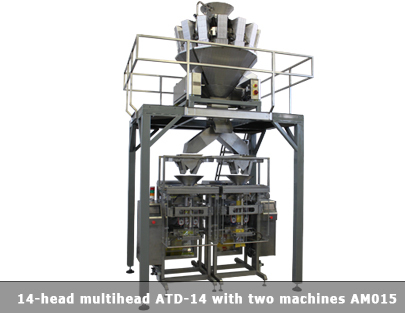 Generally, the multihead consists of vibrating channels, which feed the weighing hoppers with product. 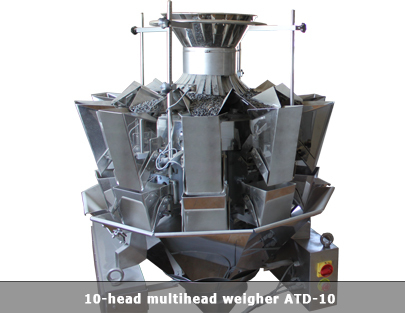 The hoppers are attached on weighing scales, which perform the measuring of the weight of the product. 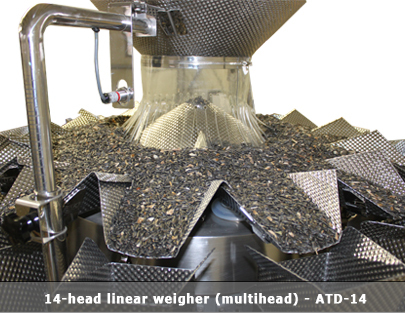 Unlike the linear weighers, where the set weight of the dose is achieved by the unloading of a single hopper the mulihead achieves the single dose via the unloading of several hoppers simultaneously These types of dosing systems are equipped with a special algorithm which checks the quantity of the product in every single hopper and chooses the optimal combination of hoppers which will unload the product to the packaging machine. This way, a much higher effectiveness and precision of the dosing is achieved. The multihead is the only dosing device that can guarantee high precision when dosing products, where the weight of the single granule/unit is more than 5-6 g.